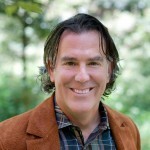 Dan Kimble is the CEO of Resonance Executive Coaching. He is a thought leader, executive coach, keynote speaker, entrepreneur, and a twenty+ year veteran of Silicon Valley. He dabbles in many things such as winning motorcycle road-races, improv theater, screenwriting, singing, and his latest addiction: playing guitar. Dan is the creator of The 80 Percent Leadership Solution™, a highly practical leadership and team coaching approach that rapidly gets to the heart of the matter and drives real business value in record time. He holds executive MBA degrees from both UC Berkeley and Columbia University, a bachelor’s degree in computer science from UC Santa Cruz, an executive coaching certificate from UC Berkeley, and is an active member of the Forbes TM Coaches Council. Returning to school, Dan discovered Life Coaching from a respected professor — and everything changed. He became more mindful of his own value and set out to change how he serves the world. Today, you will find Dan working alongside top executives helping them understand ways of becoming more effective leaders. Dan Kimble’s big win came one day when he was speaking to a large audience about racing motorcycles. Particularly anxious that day, he could have allowed his anxiety to freeze him up. Instead, he realized he could use that anxiety to his advantage. He now incorporates this experience into the work he does with executives to help them move past stumbling blocks to become more effective leaders. Learn more about Dan Kimble at his website here. Connect with Dan on LinkedIn here.